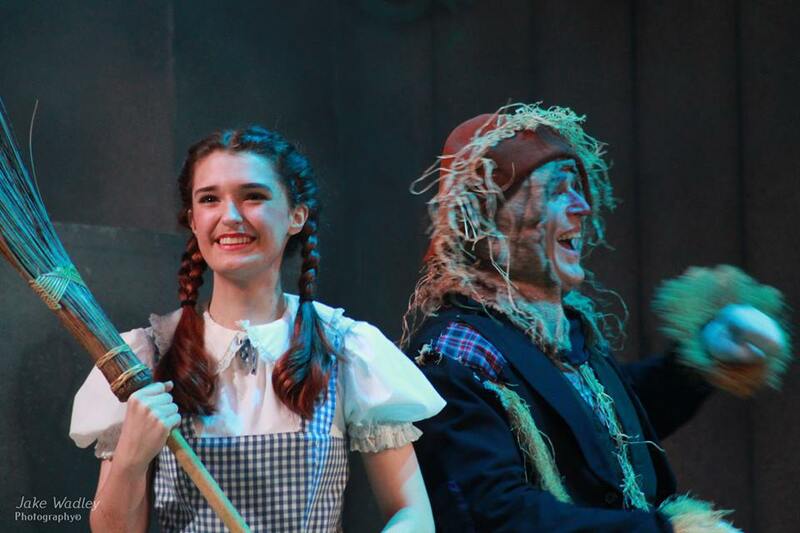 This page is an opportunity to share some of the many Dance and Theatre Arts successes from our archives that individual GSS students have achieved other than with their exams and festival work. Our 'GSS News' page records some of the school's successes and our 'Graduate Students' page is a great opportunity to see the achievements of students as they gratduate to full time vocational training or professional performances. Michael Xavier (Sunset Boulevard & Show Boat), Natalie Andreou (Wicked & Mama Mia), Kelly Ewins (Singin' in the Rain & We Will Rock You) and Patron Sir Matthew Bourne! Congratulations on this fantastic achievement Ellie! 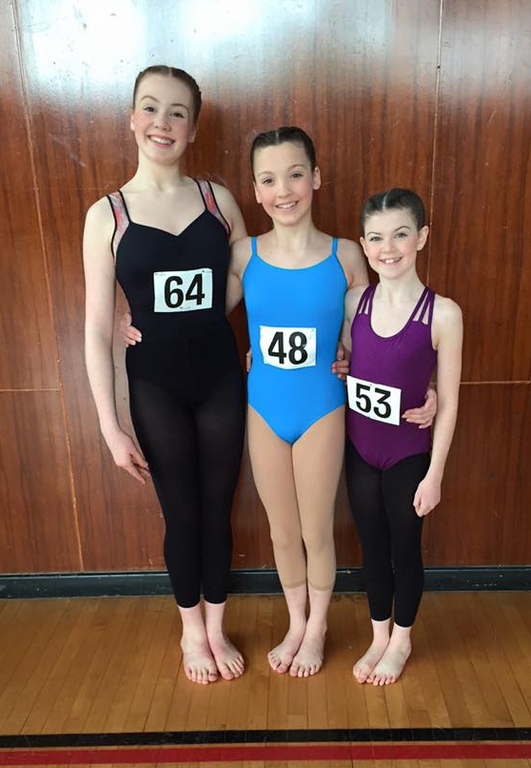 Congratulations to Matilda Blake who has successfully auditioned for the Stage Box Elite Team London! Matilda will train with some of the finest professionals in the industry, including double Olivier award winning West End and Broadway Choreographer Stephen Mear, and leading West End Musical Director, Nigel Lilley. 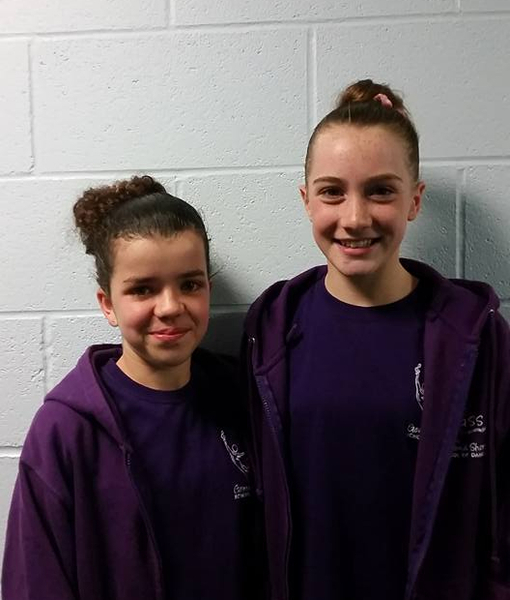 Matilda joins fellow GSS pupil, Scarlet Roche, who is already in the team. Congratulations Tildy on this fantastic achievement - we are so proud of you! Congratulations to Winnie, represented by PD Management, who has been cast in a television commercial for Hair Braids! 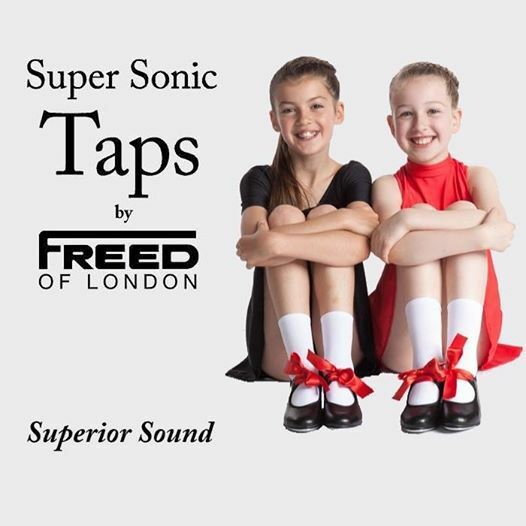 Good luck to Kieran Jefferies, Ruby Roche, Gabriella Virgillio, Tilly Robison, Amelie Bassett-Reid, Miss Jess and all of Tap Attack who are on their way to Germany to the World Tap Championships! Have an amazing time, we can't wait to watch you all! Go Team GB! 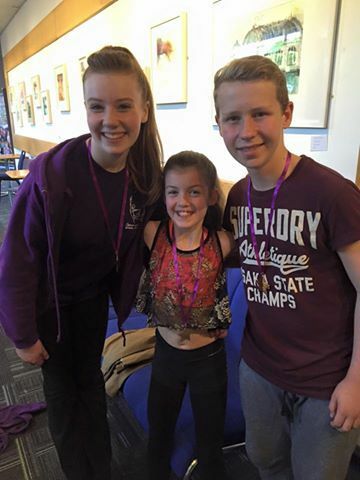 GSS student Scarlet Roche in the 'StageBox' London Elite Team performing "Newsies" - well done Scarlet! 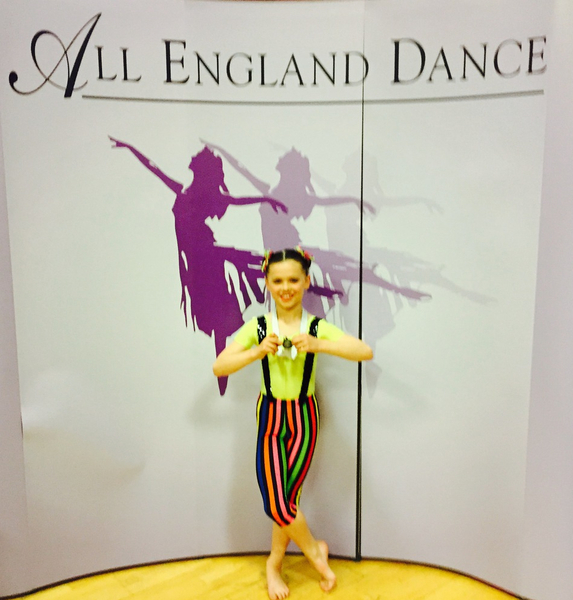 Congratulations to Ella Jones who reached the finals of her first ISTD Junior Ballet Awards after dancing beautifully in her class. Well done Ella - a great achievement. 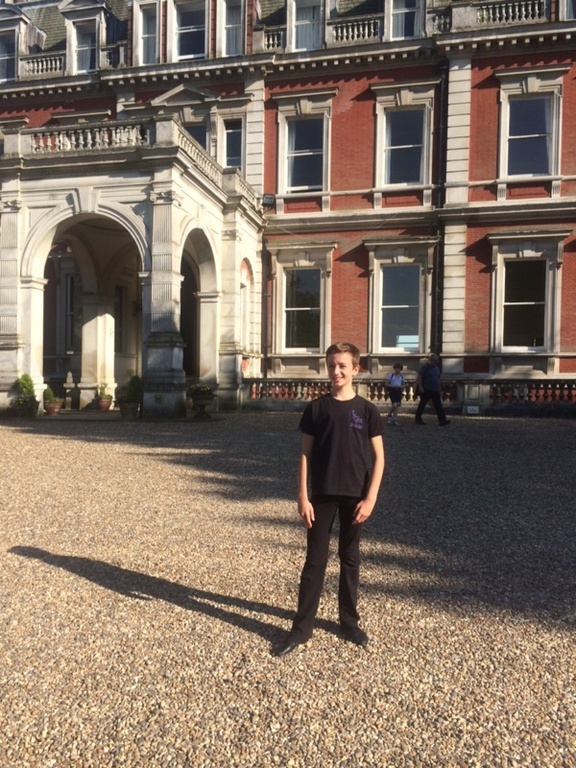 Congratulations to Frankie who successfully auditioned for the English Youth Ballet's production in Salisbury. Frankie also successfully got down to the final 8 for the scholarship audition. Congratulations Frankie! 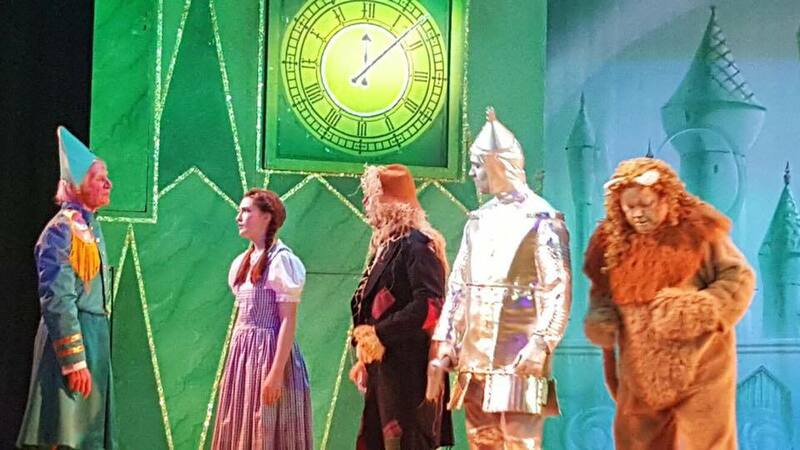 14 GSS students performed in the SALOS production of "The Wizard of Oz" at The Wyvern Theatre; the children were part of the ensemble and played Munchkins, Citizens of Oz and 'Jitterbugs'. 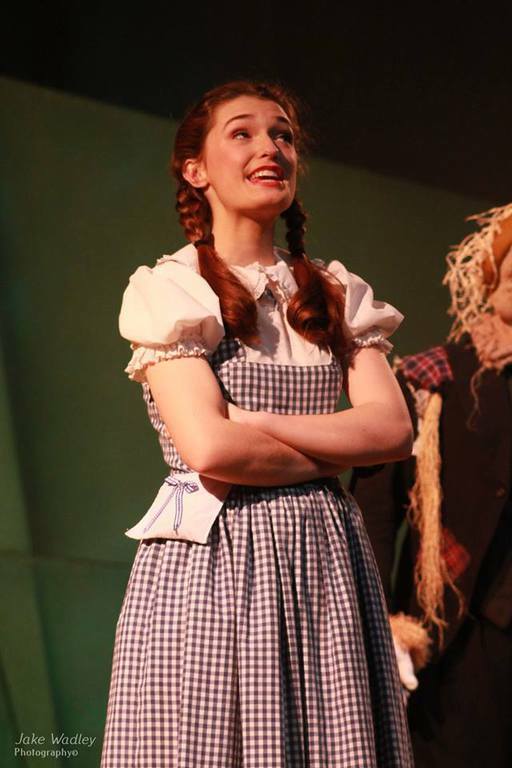 GSS Drama student, Sally Rudd, played the lead role of Dorothy with fantastic reviews. 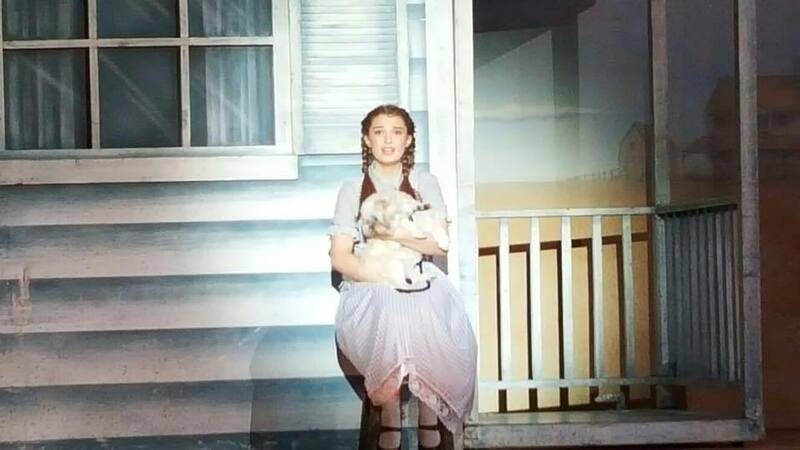 "The Wizard of Oz" was Directed by GSS Drama Teacher, Russell Langdown, and Choreogprahed by Miss Gemma. 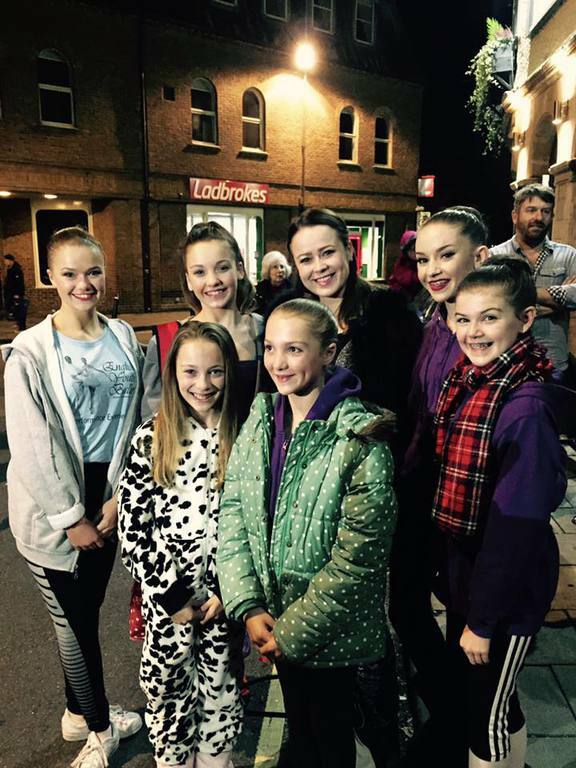 Megan Dalton, Alexia Kuchta, Scarlet Roche, Winnie Diggens, Ellie Bannister and Joanna Miller performed in the English Youth Ballet's production of 'Sleeping Beauty' at Oxford's beautiful New Theatre. The girls all danced beautifully and it was a pleasure to watch their performances - we all felt very proud. We are very excited to see the Land Rover commercial featuring Tilly Robison being released this month. Well done Tilly - fantastic achievement. 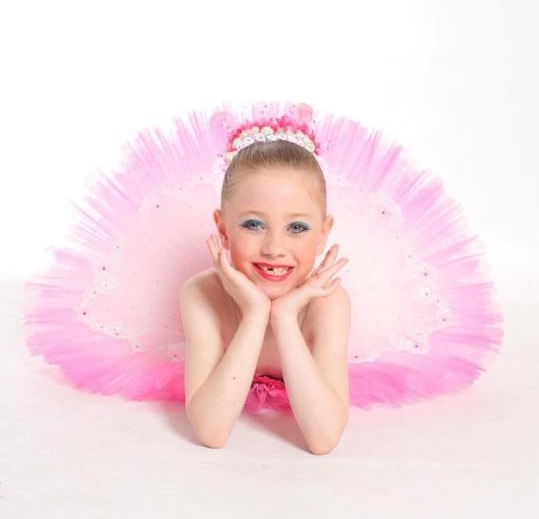 Congratulations to Emily Mackay who has successfully auditioned for the 'Elmhurst Young Dancers Programme'. Emily will start her weekly training at Elmhurst this Saturday alongside her training at GSS. What a fantastic achievement Emily - we are so proud of you! 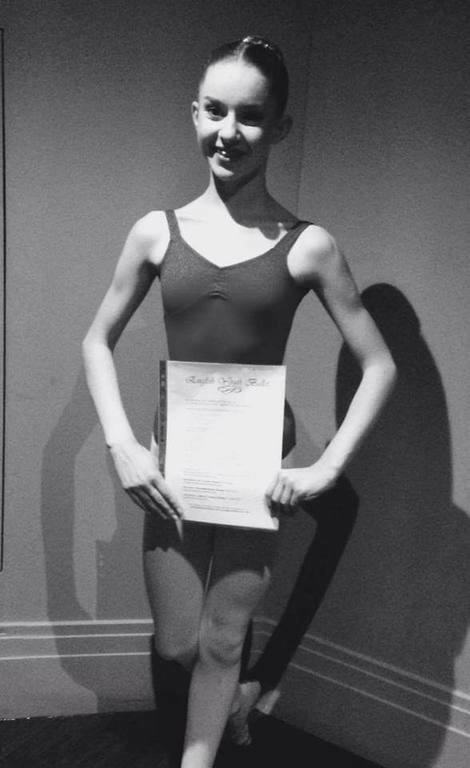 Congratulations to Mary Martin who successfully auditioned for Associate training at Ballet Theatre UK. Mary commences her training at BTUK this month alongside her training at GSS. Well done Mary - we are really proud of you and hope you enjoy it. 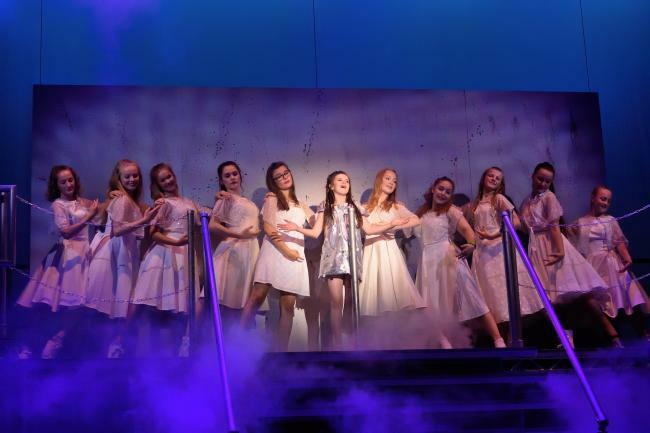 Our students had a great time performing in the Wyvern Theatre's Summer youth Project's production of "Grease". Well done to you every single one of you - everyone performed brilliantly and GSS Teachers felt really proud watching you. 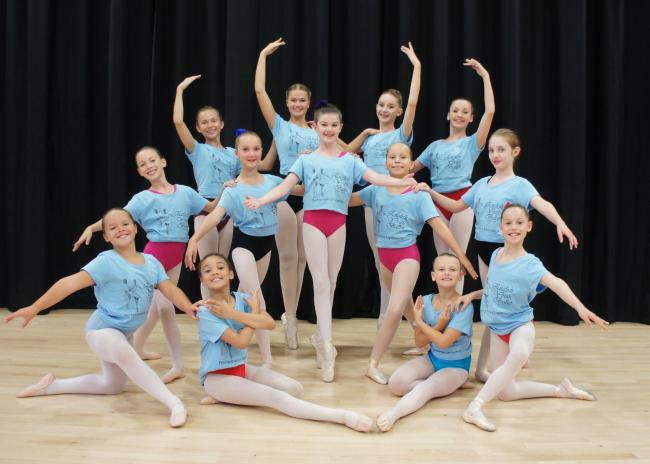 Congratulations to Megan Dalton, Harriet Masterman, Alexia Kuchta, Scarlet Roche, Winnie Diggens, Ellie Bannister and Joanna Miller who have all successfully auditioned for the English Youth Ballet's production of 'Sleeping Beauty'. A special congratulations to Megan Dalton who received the JNR Half Scholarship out of 133, and Winnie, Scarlet & Ellie who reached the final 10 for the SNR Scholarship out of over 100. Congratulations to Ellie Bannister who was awarded the Full Scholarship! Well done, we are so proud of you all on this fantastic achievement and can't wait to watch! 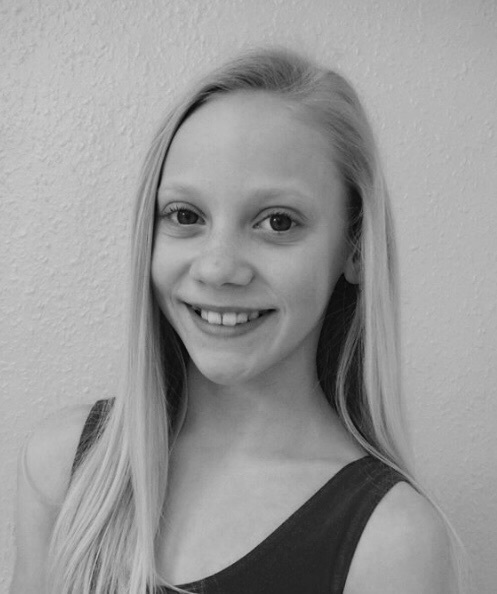 Congratulations to Scarlet Roche who has successfully auditioned for the Stagebox Elite Team London! Scarlet auditioned along with over 300 performers for one of the 25 places. 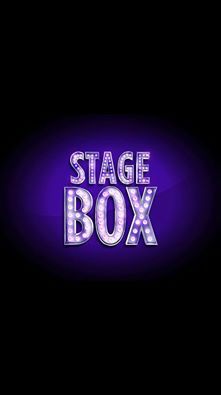 The Stagebox Elite Team will train with the industry's finest in London, including double Olivier award winning West End and Broadway choreographer, Stephen Mear, and leading West End Musical Director, Nigel Lilley. Wow - amazing pictures! 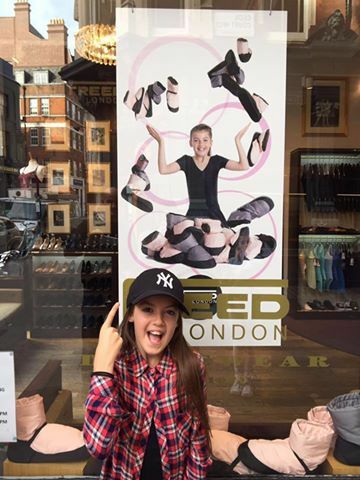 Ruby Roche and Amelie Bassett-Reid, modelling beautifuly for FREED Dancewear! Fanntastic girls - well done. 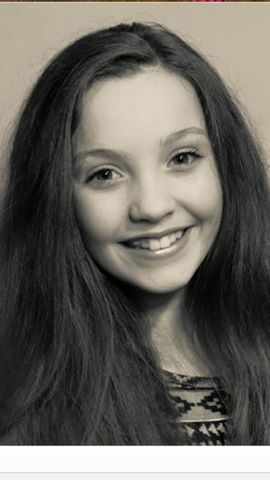 Congratulations to GSS student Rhiannon Mackay on successfully auditioning to be represented by PD Management Agency. This is a fantastic achievement Rhiannon - we are so proud of you! 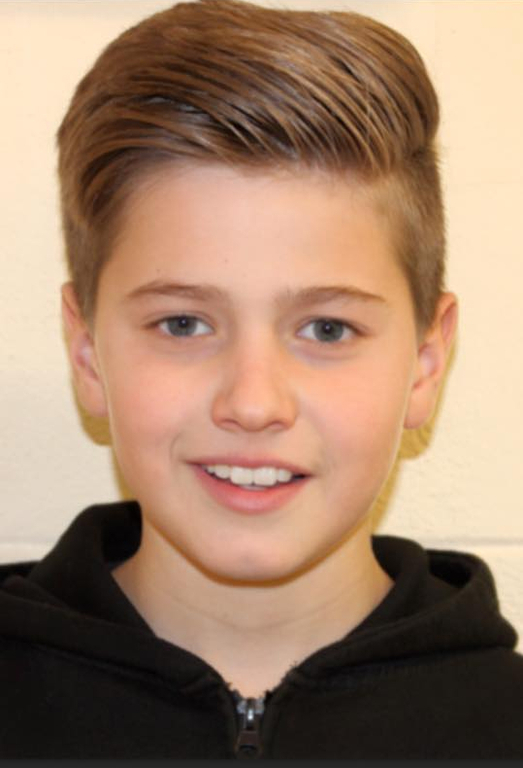 Congratulations to Tom Fisher who has successfully auditioned for YDA ( Swindon's Youth Dance Academy). Tom will start his training in September. Congratulations Tom on this fantastic achievement, we are so proud of you! Well done Harriet - we are so proud of you! A big thank you to our fantastic Musical Theatre teacher Miss Amy! 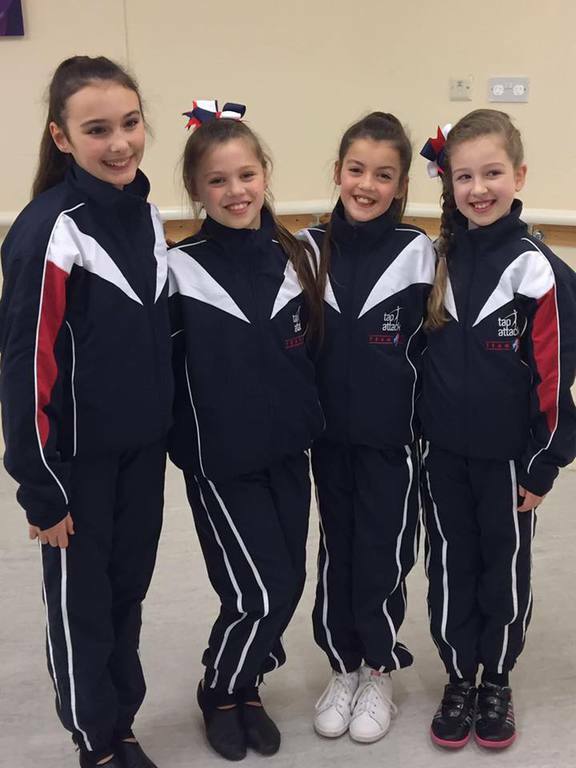 We are delighted that Kaitlyn Hill, Chloe Hill, Amy Gordon, Joanna Miller and Megan Johnson have been cast as dancers in the Juvenile Chorus. Well done girls - we are so proud of you. 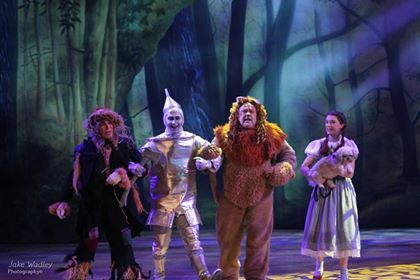 The Pantomime will run at the Wyvern Theatre from Sat 10th Dec. 2016 to Sun 8th Jan. 2017; follow the link for tickets. 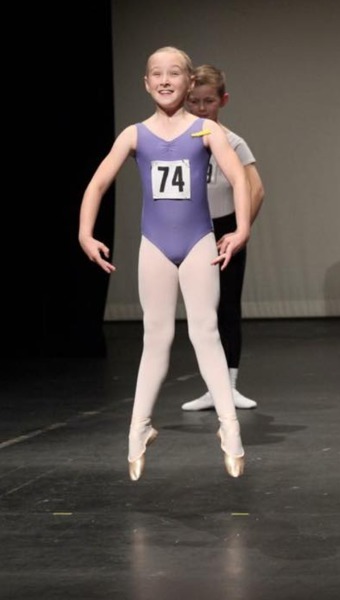 Congratulations to Megan Dalton on successfully auditioning for Tring Park's Classical Ballet Academy. Megan will start her training in September alongside her continued training at GSS. Well done to to you all. 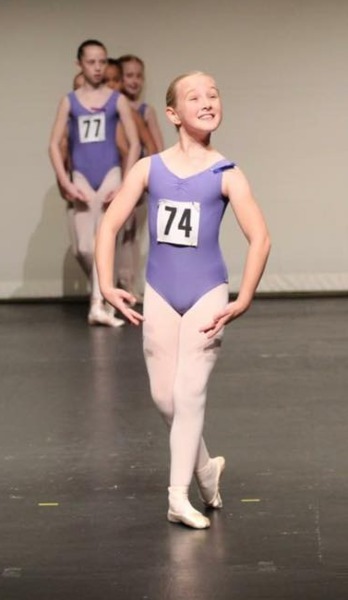 Congratulations to Winnie Diggens on successfully re-auditioning for The Royal Ballet Mid-Associates. What a fantastic achievement Winnie, we are so proud of you! We are so delighted to announce that Kaitlyn and Chloe Hill have successfully auditioned for the Wilkes Academy's full time 16+ course. Although we will miss you both so much, we are so proud and excited for you! Congratulations girls - this is a fantastic achievement ! 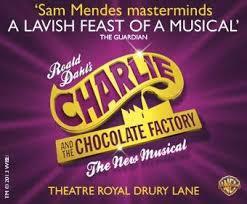 May 2016 saw the final Ellie Benge & Scarlet Roche's final performances as Veruca Salt in the West End production of 'Charlie & the Chocolate Factory.' 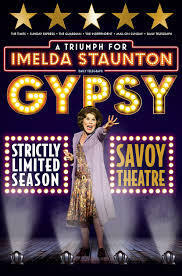 Scarlet originally played the role for 18 months from Nov 2013-April 2015, and then moved to the Savoy Theatre, London to play Baby June in the Olivier Award-winning production of 'Gypsy The Musical' for six months, before being asked to return to 'Charlie' for another six months from Dec 2015-May 2016. 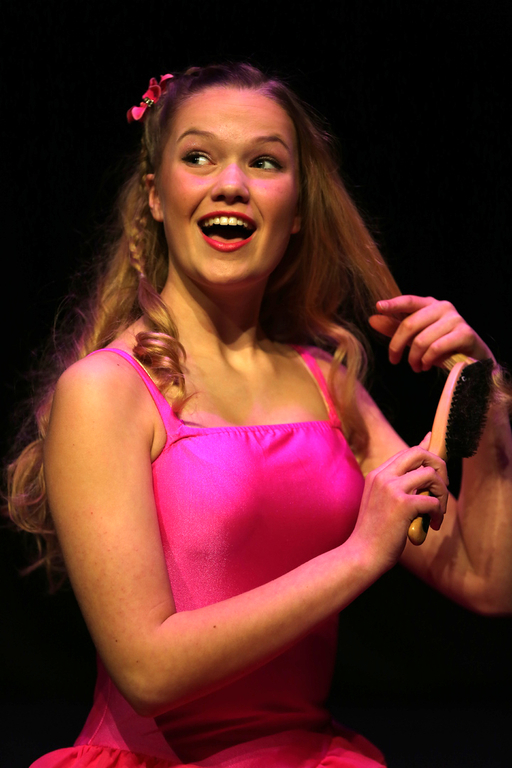 Ellie has been playing the role of Veruca for a year since April 2015 and was offered an extended contract to perform in the show until the Spring of 2016. The girls loved their performances at the world famous Theatre Royal, Drury Lane in London as part of the hit musical's cast. Miss Gemma and Russell were pleased to attend both of the girls' opening & final performances and felt very proud to hear the lovely speeches that were made on stage at the end of each show. Whilst in 'Charlie,' Ellie appeared in the show's publicity material and video trailer and Scarlet appeared on the BBC's Children in Need. Congratulations to you both - this has been a fantastic achievement! We are so proud of you. Thanks also to all of the GSS students and families who have supported the girls. 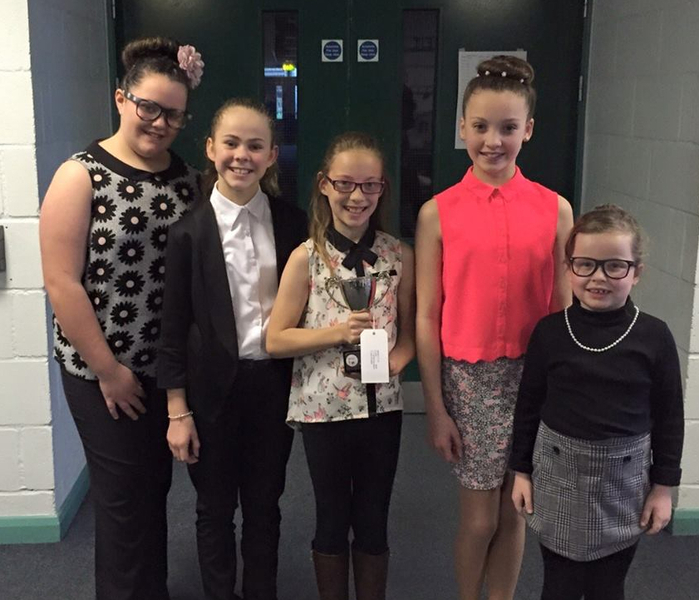 Congratulations to Lauren, Kieran, Amy and Ruby who danced beautifully at the ISTD Tap Awards today. Well done to Ruby, Kieran and Amy for reaching the finals! Only 10 dancers were chosen out of 60 from each section! Congratulations to you all - we are so proud of you! 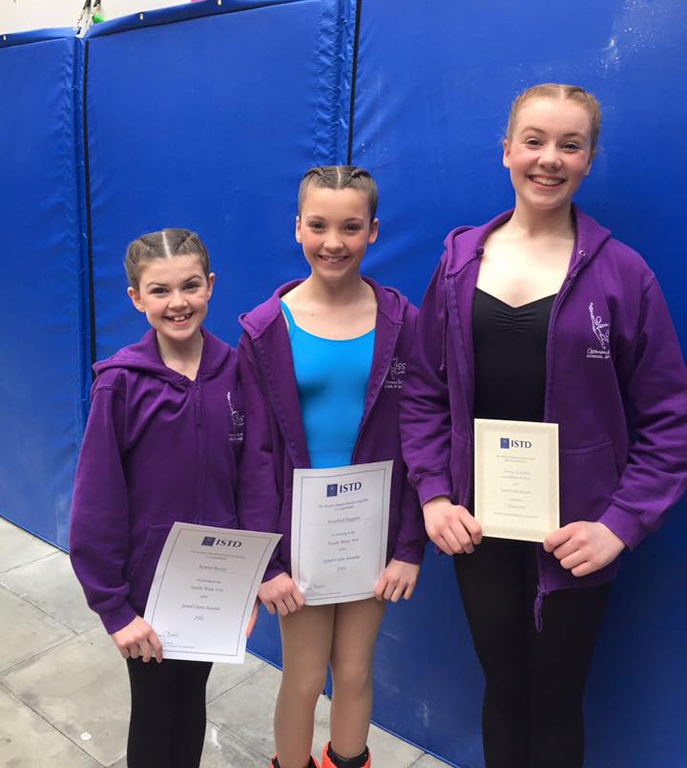 Congratulations to Ruby Roche, Tilly Robison, Scarlet Roche, Winifred Diggens and Amy Gordon for dancing so beautifully at the ISTD 'Janet Cram' Modern Awards. A special mention to Ruby and Amy who were awarded places in the finals- and to Ruby who was also awarded the Junior Class Prize! Congratulations girls - we can't wait to watch you in June! Congratulations to Matilda Robison who has successfully auditioned for her first commercial. Tilly will shoot the commercial for Land Rover in March. We are so proud of you Tillly! A fantastic achievement - well done Scarlet! 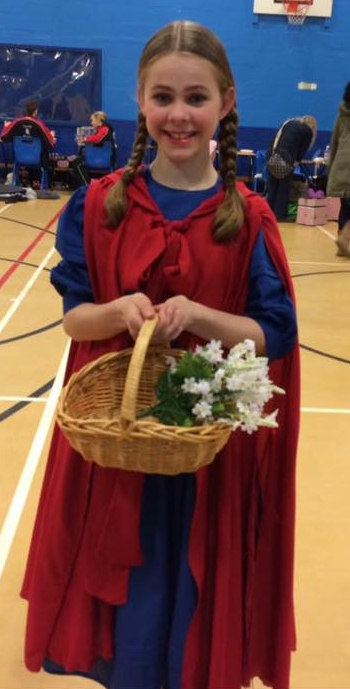 Drama students from the ages of 6-16yrs participated in the Wootton Bassett Arts Festival on 14th & 15th November 2015. It was the second year that GSS has entered this competition and we were delighted with the performances of the students, as well as the results of the competition. 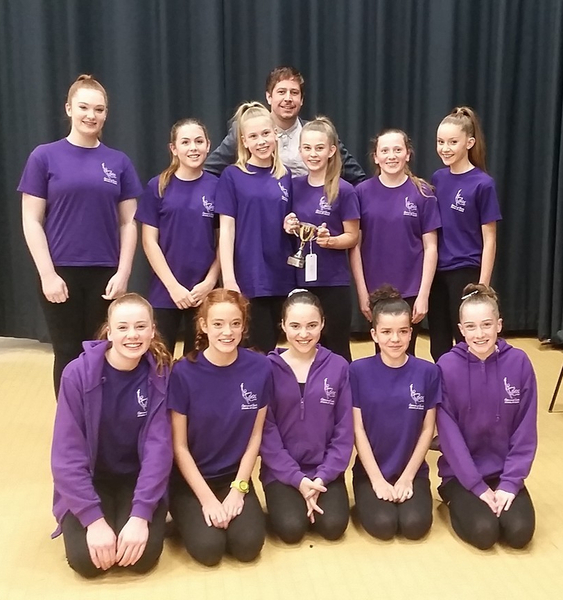 Highlights including taking 1st, 2nd & 3rd Places in the Senior Devised class and winning the Trophies for: Senior Devised Drama, TV Newsreader & Duo Mime classes. Well done to all of the students who performed - we received great feedback individually and collectively as a school. 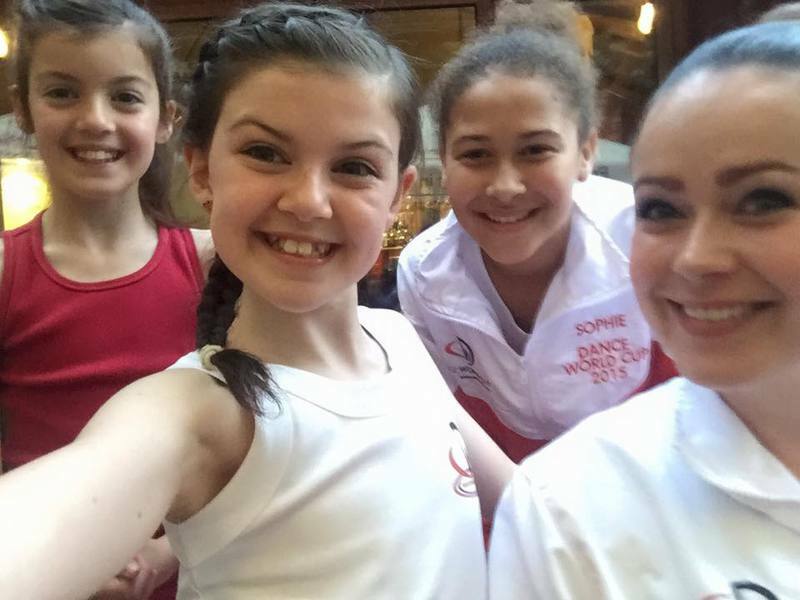 Congratulations to GSS students Amelie Bassett-Reid, Ruby Roche, Gabriella Virgilio, Kieran Jefferies, and Tilly Robison on their fantastic performances at Tap Attack's Dinner Dance Gala - and a special congratulations to Miss Jess for her outstanding performance! What a fantastic evening - congratulations to all! 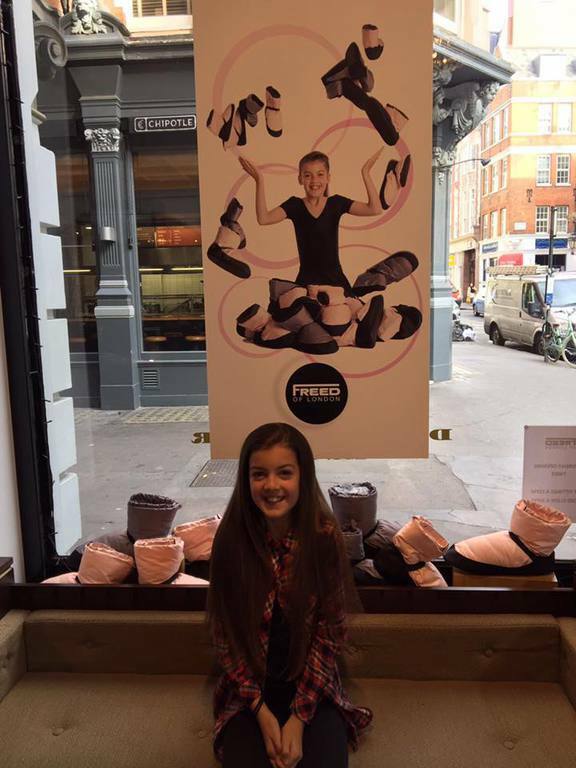 We are really pleased that Megan has been cast for the NSPCC's Christmas 2015 Campaign. Megan will be featured in the still images for poster publicity, as well as the national television advert. 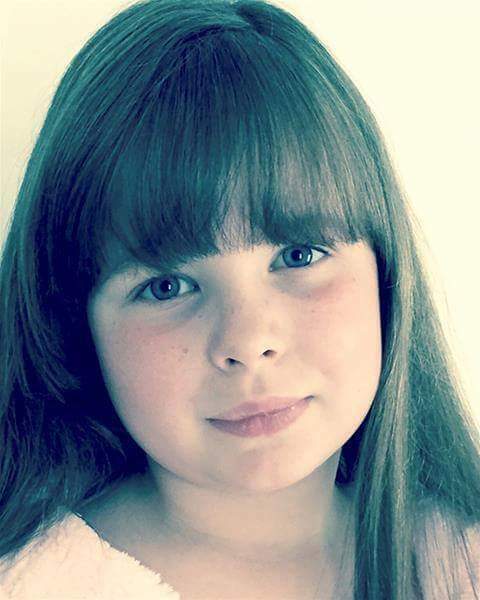 Congratulations to Matilda Blake who has successfully auditioned for her first television commercial. Matilda is looking forward to filming her advert for Dominos Pizza very soon. Well done Matilda - we are really proud of you! 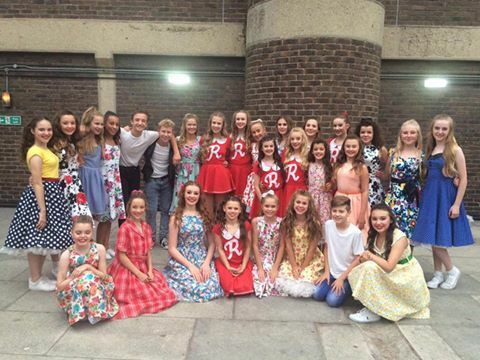 GSS students were amongst over 200 young people who participated in the Summer Youth Project performance of "Hairspray" at the Wyvern Theatre. Miss Gemma, Russell & MIss Amy all enjoyed watching so many of our students performing, including Oli Cowen, who played the principal role of Corny Collins. 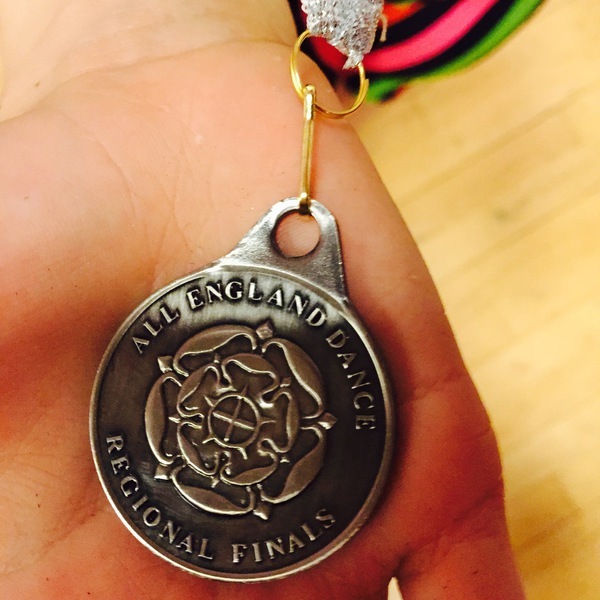 Congratulations to students who have competed in the All England Dance Finals in London. 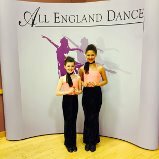 Particular congratulations to Sophie Powell and Scarlet Roche who were awarded 2nd Place in the Tap duets. This is a fantastic result in the national finals! 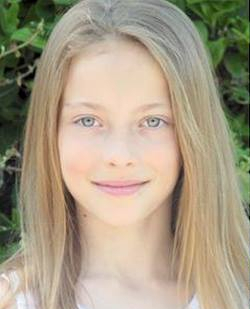 GSS student Megan Dalton has been booked for a feature film shoot via PD Management - Congratulations Megan! 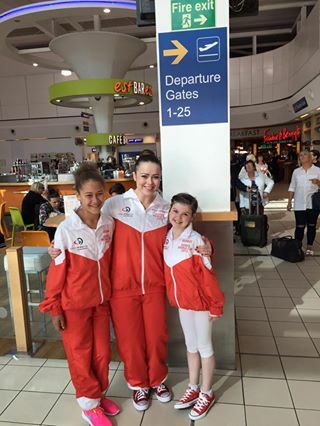 We were so excited that Sophie Powell and Scarlet Roche were selected to represent Team England at the Dance World Cup, which was held in Bucharest, Romania from 26th June - 4th July 2015. 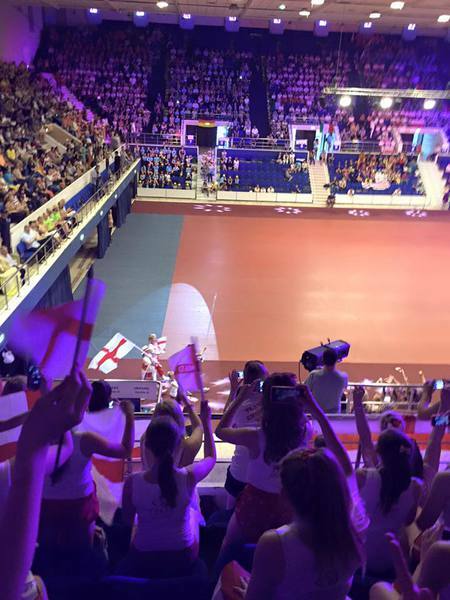 Over 18,000 competitors from 38 countries competed at their country qualifiers, and a panel of 4 UK judges selected the dancers to represent Team England. 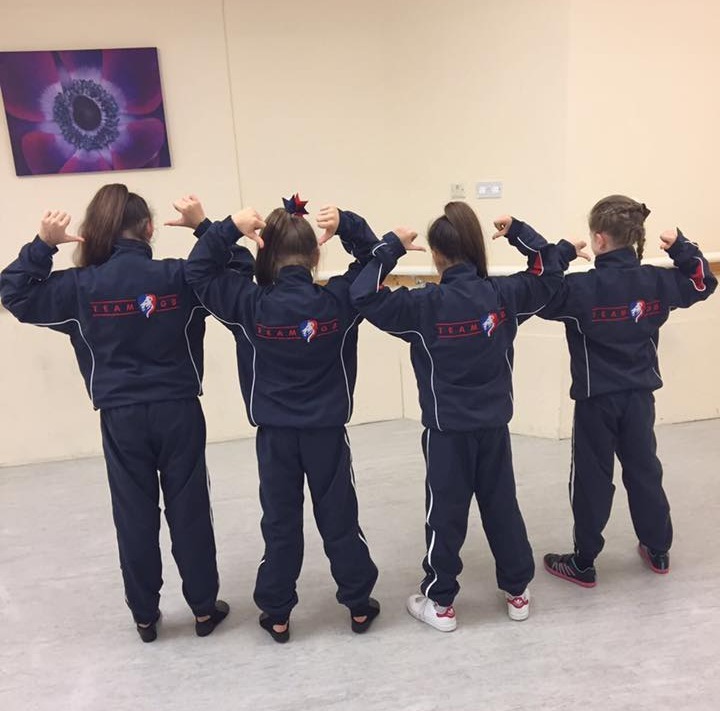 Last year, the English team comprised of dancers who represented just 12 dance schools across the country, so this is a huge achievement. 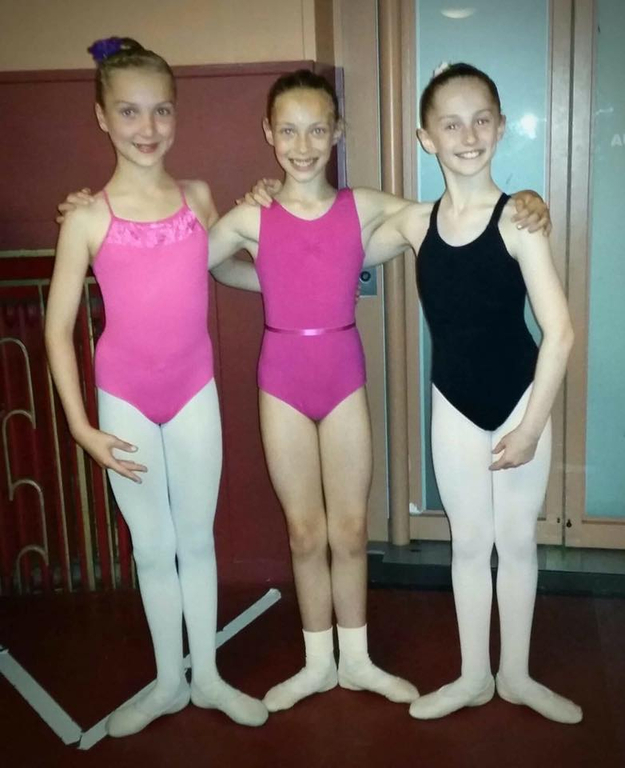 Sophie & Scarlet competed in their classes with dances performed at recent festivals, all of which were choreographed by Miss Gemma. Scarlet was awarded 1st Place with a Gold Medal for her Song & Dance solo - this makes her a World Champion for her age group! Scarlet was also awarded the overall Shield at the Gala for her Song & Dance from the Children and Minis age categories. Congratulations girls - we are so proud of what you achieved! 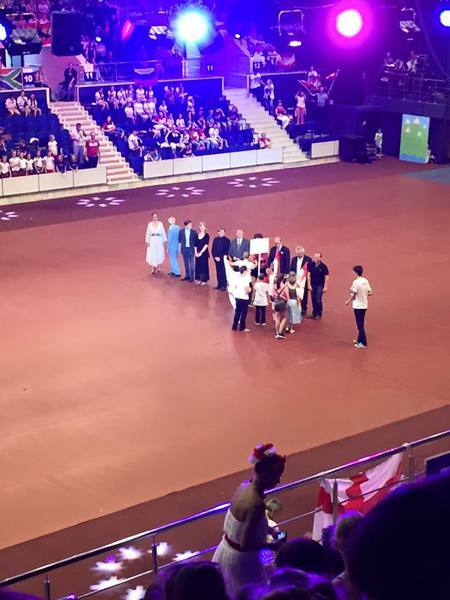 This is the greatest all-genre dance competition for children and young adults around the world and we felt excited and privileged to represent England. We are so pleased that Gabriella Virgilio has successfully auditioned and gained a place as a Tap Attack Associate. Tap Attack is a world reknowned Tap company which provides students with a unique training in the genre..
Matilda Robison - 2nd Place with Honours in the Modern Solo 7-8yrs. 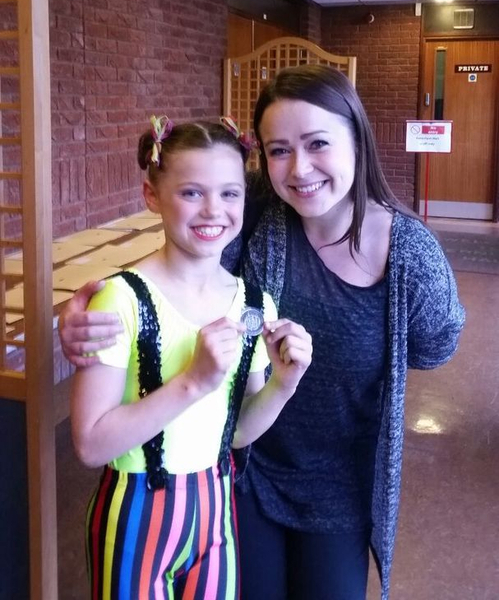 Lauren Ayres - 2nd Place with Honours in the National Solo 15-21yrs. GSS students also gained a host of Distinction with Special Commendation certificates, which is a great achievement at this level of competition. Well done girls, we are really proud of you all. 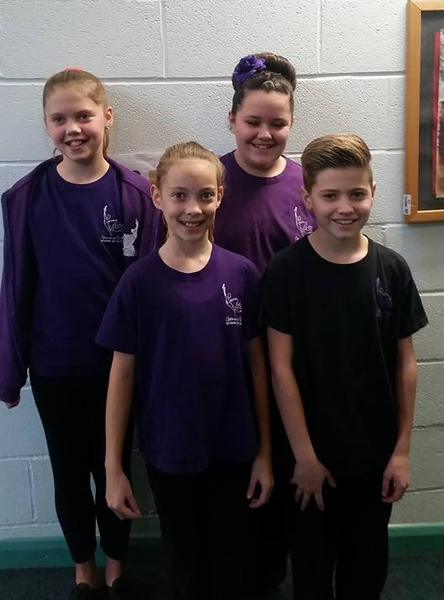 GSS students successfully audition for Swindon's professional Panto! 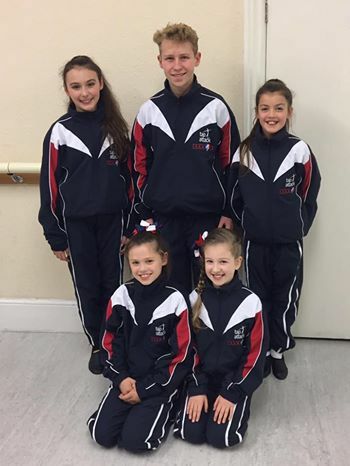 We are delighted that Kaitlyn Hill & Chloe Hill have been cast as dancers in the Juvenile Chorus, and that Ruby Roche & Georgia Skinner have been cast in 2 of the children's roles as Dwarfs! We are really proud that Beth Fisher has successfully auditioned for the prestigious Italia Conti Academy of Theatre Arts and has been offered a place for Sept. 2015. Italia Conti is Britain's and the world's oldest theatre arts training school. Well done Beth - this is a fantastic achievement! 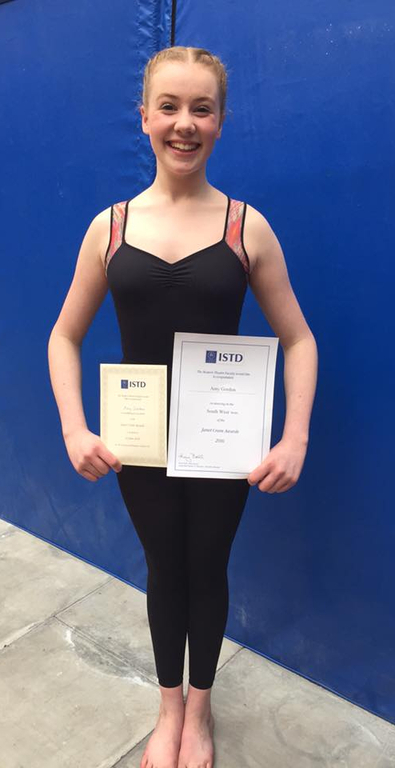 We are pleased to congratulate Scarlet Roche on being awarded 2nd Place in the Grade 4 class at the ISTD Ballet Awards - a fantastic achievement! Scarlet was presented her certificate by the internationally renowned dancer, Adam Cooper. 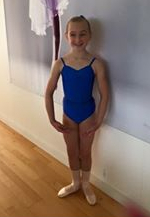 As a scholar from the 2014 competition, Scarlet also performed in the ISTD Imperial Classical Ballet Evening Gala. 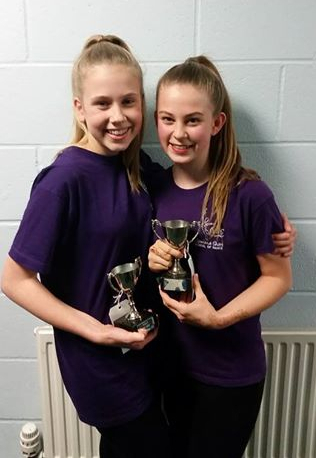 A belated congratulations to Chloe Hill for winning the Choreography Cup, and Scarlet Roche for winning the Intermediate Ballet Cup, at the recent Tilehurst Festival. Well done girls - great work! 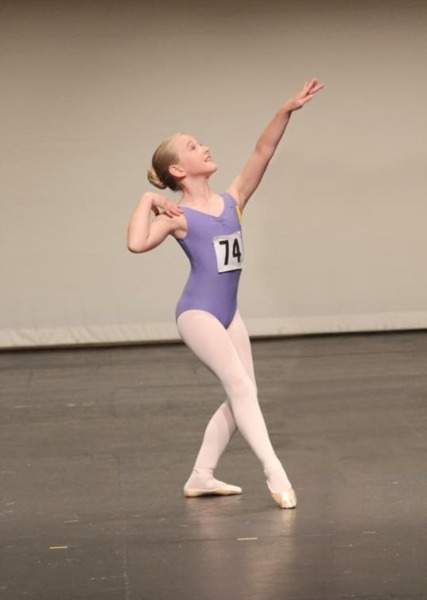 Joanna had such a great time performing with EYB in 2013, that she chose to audition again! Take a look at the article in the Swindon Advertiser. 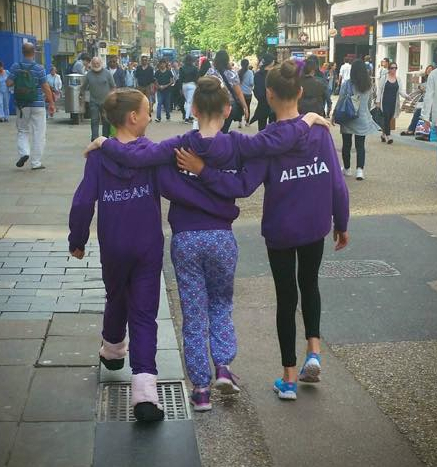 Well done girls - we hope you have a great time! 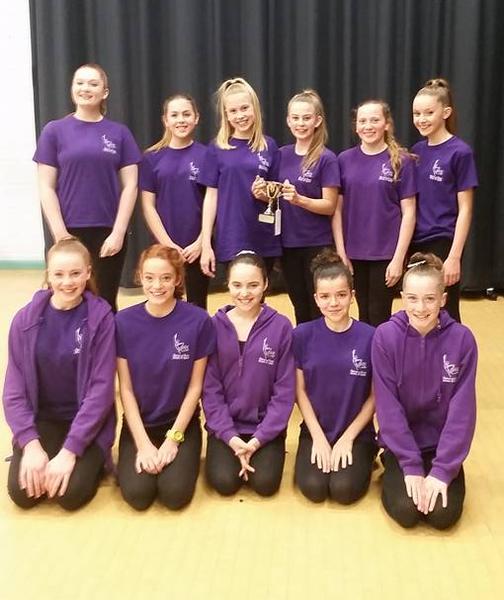 On Sunday 16th November, the senior and intermediate drama classes competed at the Royal Wootton Basset Arts Festival. We were so pleased that the children performed to such a high standard and also that they represented the school so well. A festival environment is always challenging, but this was the first time in a drama festival for nearly all of our students, yet they coped so well and did themselves proud. It is always lovely to have accolades and we celebrate those, however we hope that the students have gained a lot from this experience of creating and performing. The adjudicator said that the school had produced lovely work and that we should be very proud. The two entries from the Intermediate class came joint 3rd in the 11yrs & under Group Devised class, and groups from the Senior class gain a 2nd place and 1st Place in the 12yrs & over Group Devised class, winning the Mark Flitton Trophy. Georgia Skinnner won the 'Television News' class, and also won a trophy. Well done everyone - we are really proud of you. Congratulations to Ruth Flame who has been invited to play the principal role of Susan in Ray Dance & Judith Sharp's forthcoming production of "White Christmas" which will be performed at the Arts Centre 10th-14th December. Ruth will be joined by GSS Seniors: Morgan Ogle, Ulani Seaman, Isobel Daglish & Bella Bees, who will play the Chorus Girls. 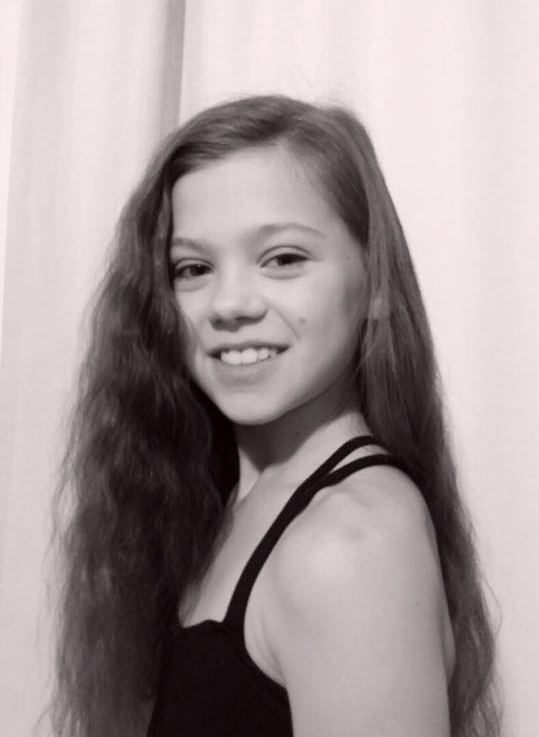 Congratulations to Joanna Miller who has successfully auditioned to join the Swindon Youth Dance Academy; the YDA is a training programme for young dancers demonstrating exceptional potential and the commitment and passion for a career in dance. 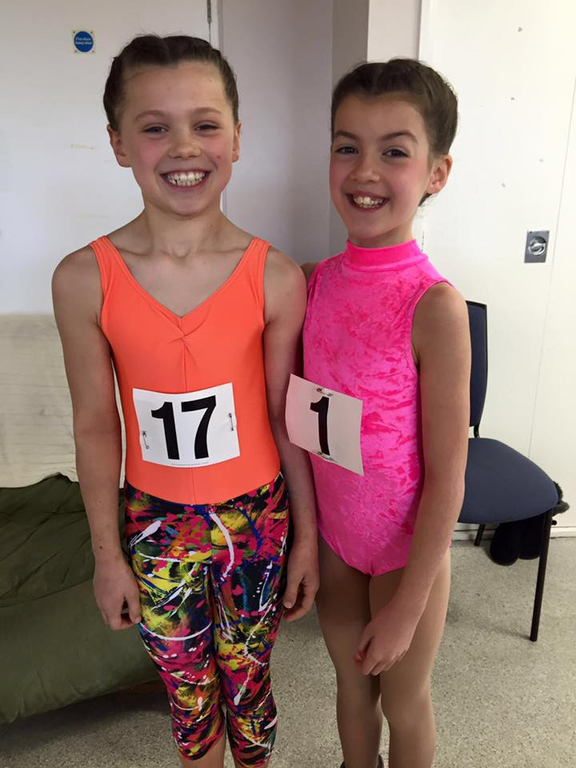 We are delighted that Izzy Daglish and Ruth Flame have successfully auditioned to participate in additional training and performance work with the Elite Troupe of the 'Spirit Young Performers Company' in London. Izzy & Ruth will be travelling to London each Sunday to join the group! Congratulations girls - we hope you enjoy it! 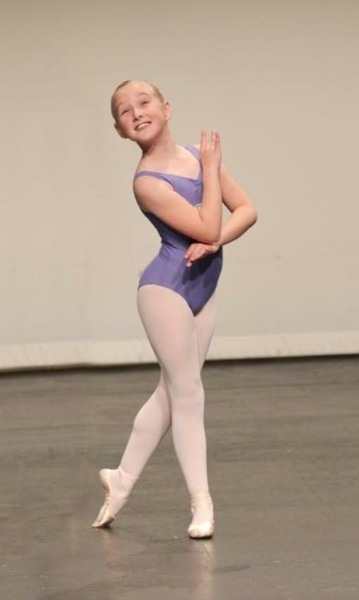 The Gemma Short School of Dance is delighted to announce that Scarlet Roche was successful in gaining 3rd Place in the Grade 3 Class at the National ISTD Ballet Awards Competition in London. 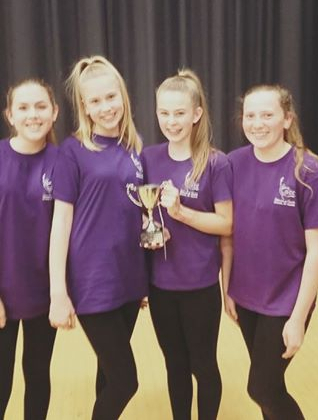 After a challenging class, Scarlet was put through to the final element of the competition where around 60 dancers had been shortlisted to 20; it was from this group that Scarlet was awarded 3rd Place for technical ability and artistry. 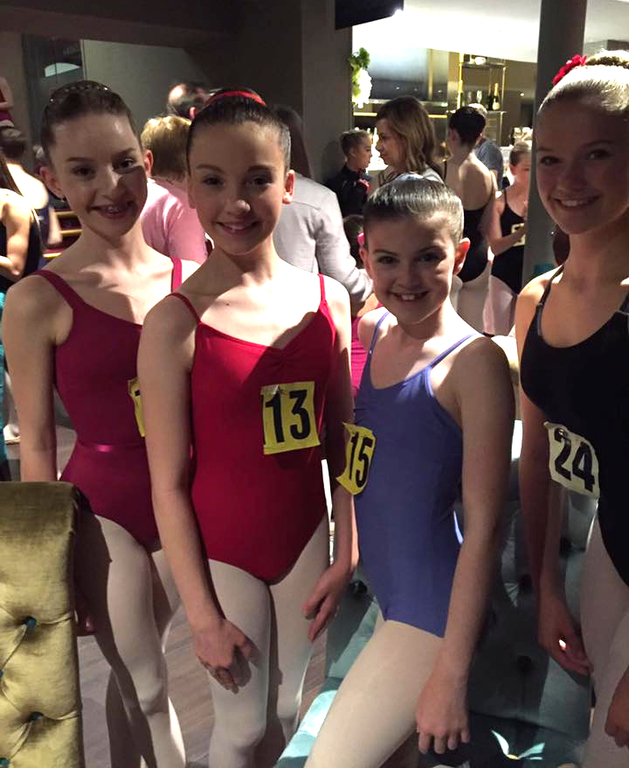 The Ballet Awards are one of the most important events of the ISTD's competitive calendar and always attract the highest standards from dancers from across the country. This is a great achievement and Scarlet should be really proud of herself - we certainly are! 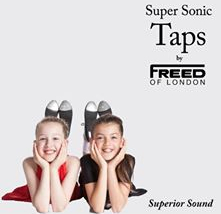 Huge congratulations to Felicity Coster and Lauren Ayres on successfully gaining places in the Tap Attack Midland Associates! 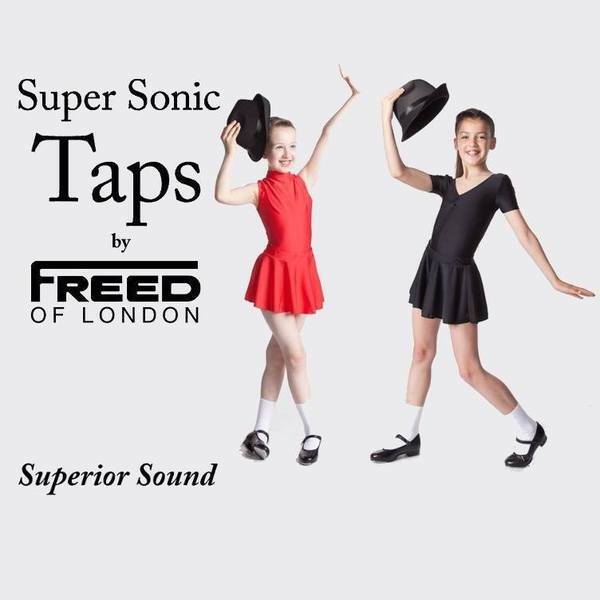 Tap Attack is a national company which combines world revered choreography with established and talented tap dance performers. Well done girls we are very proud of you! 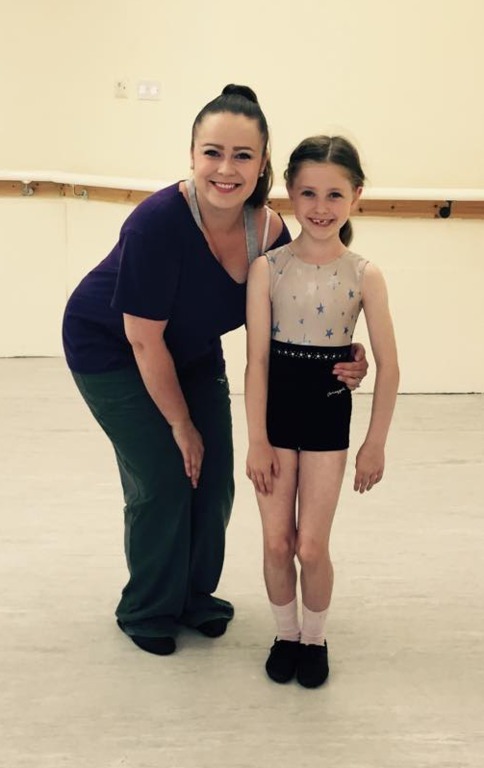 The Gemma Short School of Dance is delighted to announce that Scarlet Roche has been successful in gaining the principal role of Veruca Salt in the Olivier Award winning West End musical "Charlie and the Chocolate Factory". Scarlet, who went through a long audition process, started a 6 week rehearsal period in October and has joined the cast, directed by Sam Mendes, alongside stars such as Nigel Planer (Grandpa Joe) and Douglas Hodge (Willy Wonka). Scarlet's opening night was on Friday November 8th at the world famous Theatre Royal, Drury Lane, and Miss Gemma and Russell were lucky enough to attend. We were delighted to have over 100 GGS families on a school trip to watch a performance in March. Scarlet will be performing in the musical regularly until December 2014. Congratulations Scarlet on this fantastic achivement; we hope you enjoy every second of this amazing experience and we are so glad you got a Golden Ticket! Click on the link below to see Scarlet's biography from the 'Charlie' programme. We are delighted that Joanna Miller and Scarlet Roche will be performing with the English Youth Ballet in their professional production of 'Swan Lake' at the New Theatre, Oxford. 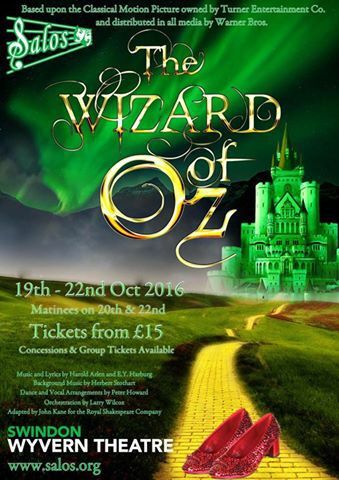 Performances take place on 20th & 21st September 2013 and GSS students and families will be attending the matinee performance on the Saturday. 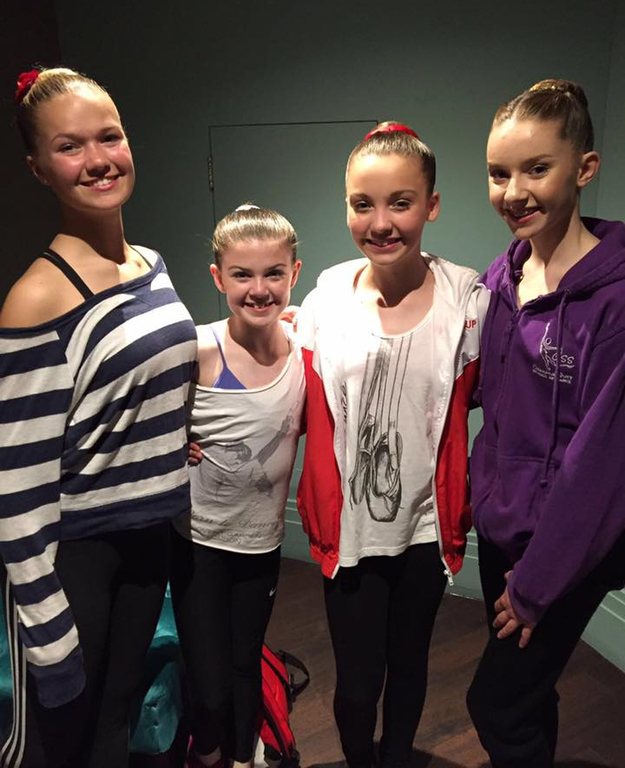 Good luck for the performance girls - we hope you have a great time! GSS are proud to congratulate Scarlet Roche for a second time! 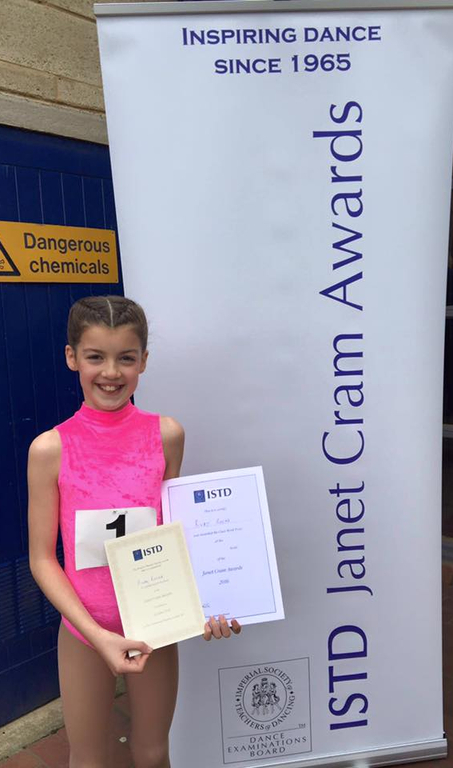 Scarlet has won the Full Scholarship at the English Youth Ballet. 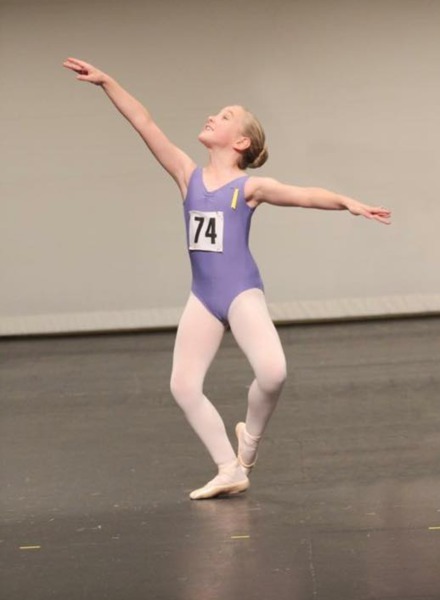 Scarlet who auditioned along with 130 dancers was awarded the only Full Scholarship for their production of "Swan Lake". We are all very proud of you Scarlet and can't wait to see you dance in the production in September. Well Done!